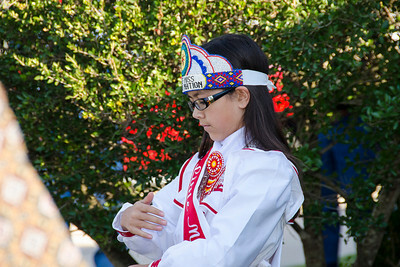 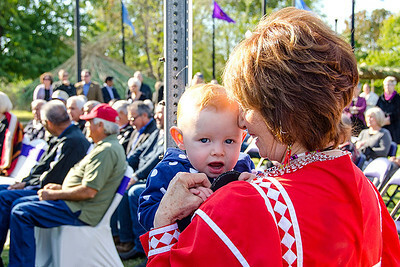 Little Miss Choctaw Isabella Cox performs the Lord's Prayer at the grand opening ceremony. 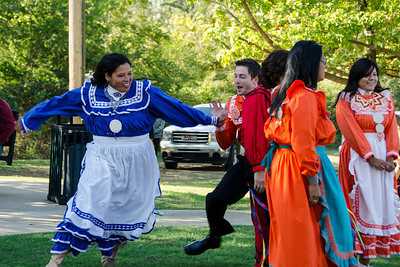 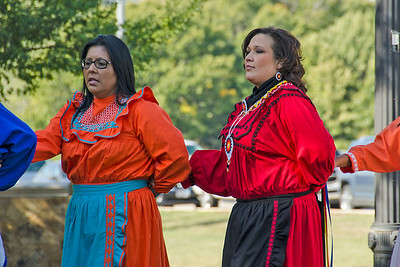 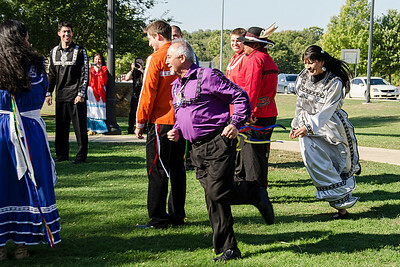 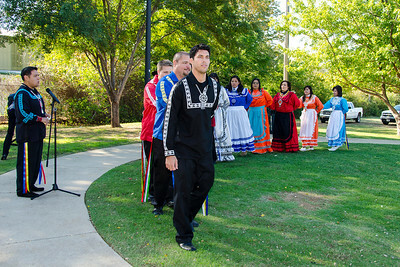 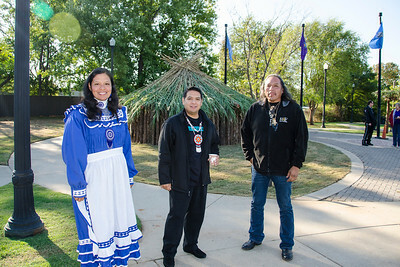 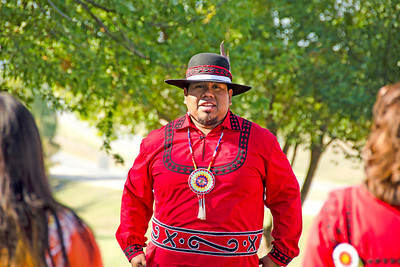 Choctaw dancer Amy Thompson, chanter Brad Joe and Choctaw cultural expert Les WIlliston. 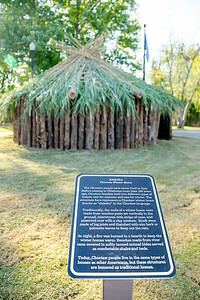 A Choctaw alaksha, or winter home, has been built on the grounds of the Choctaw Tourism Information Center. 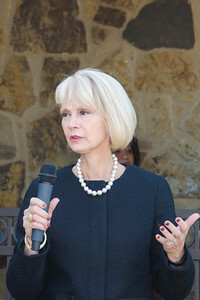 Oklahoma Tourism Director Deby Snodgras addresses the audience during the ceremony. 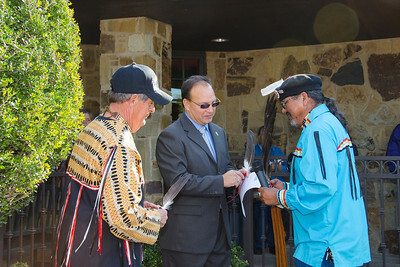 Roland Wade presents Assistant Chief Batton with an eagle feather. 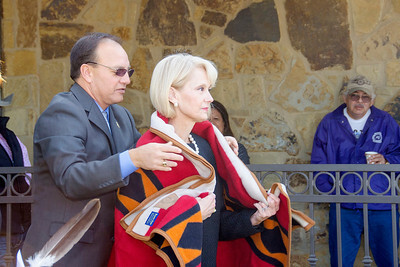 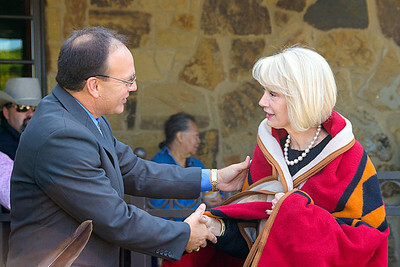 Assistant Chief Gary Batton presents state Tourism Director Deby Snodgras with a Pendleton blanket. 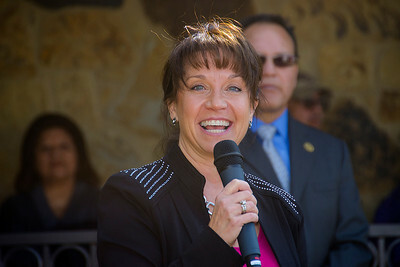 Director of the Choctaw Tourism Information Center Lana Sleeper thanks everyone for their attendance and to those who helped with the center. 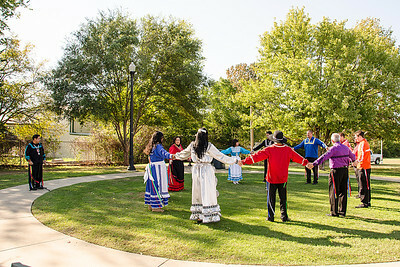 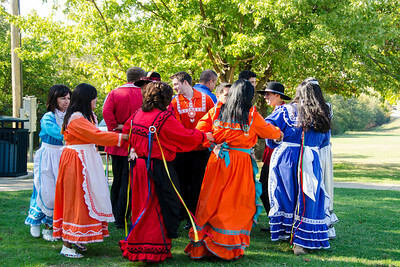 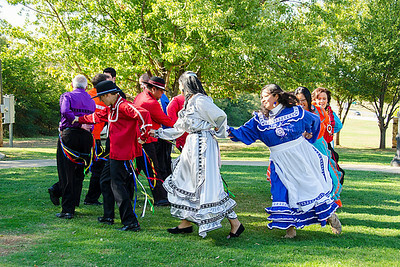 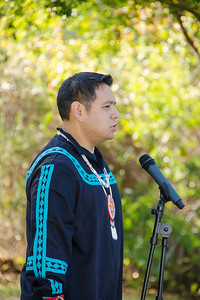 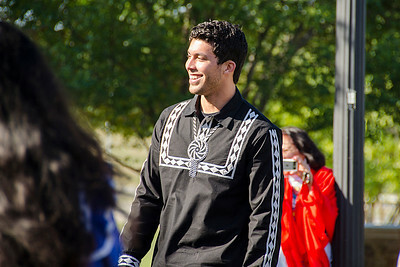 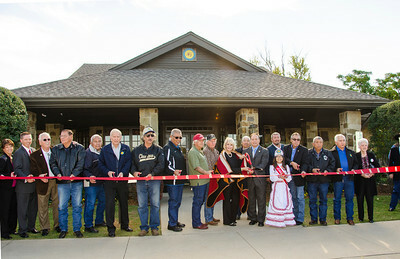 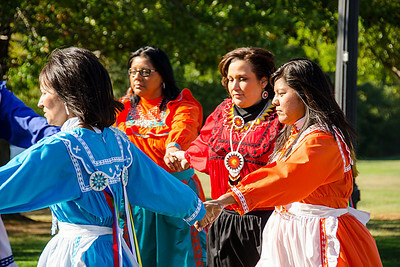 A ribbon cutting and cultural activities were part of the grand opening celebration at the Choctaw Tourism Information Center, held on Oct. 25 in Colbert. 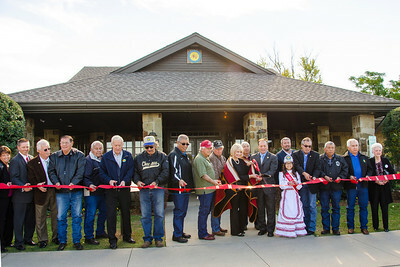 Cutting the ribbon are Assistant Chief Batton, the Choctaw Tribal Council, State Tourism Director Deby Snodgrass, Director of the center Lana Sleeper, as well as other state, county and city officials. 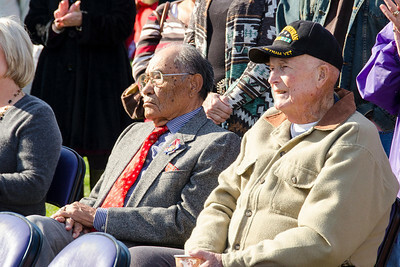 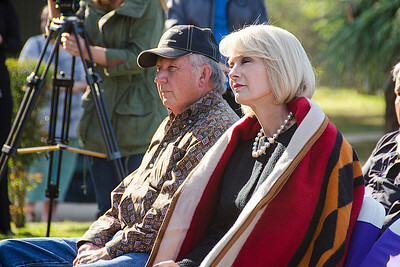 Councilman Ted Dosh and Oklahoma Tourism Director Deby Snodgras listen to the speakers at the grand opening ceremony. 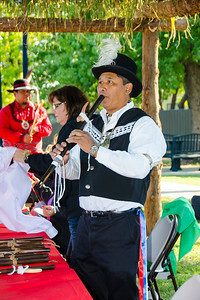 Preseley Byington plays the flute. 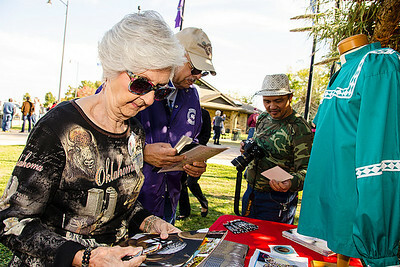 Sally Moon from the Colbert Historical Society, left, and Cornelius Winship of Talihina, center, look through the cultural information. 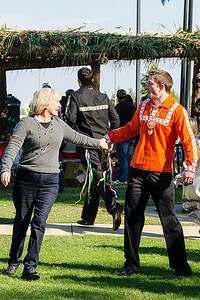 Bret Moss grabs a visitor from the crowd during the Stealing Partners dance.